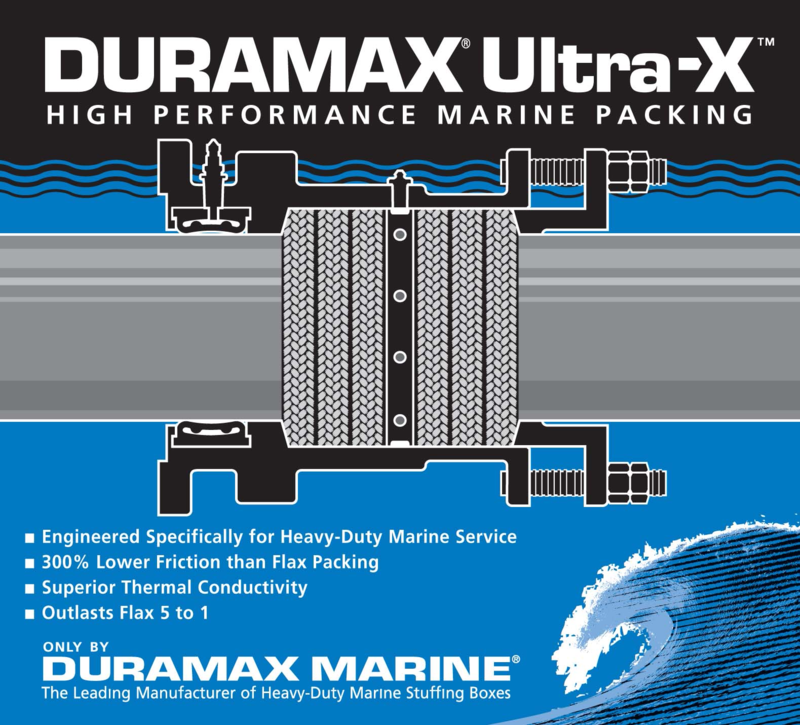 Ultra-X is a high performance, non-asbestos, compression packing that is engineered specifically for the marine industry. 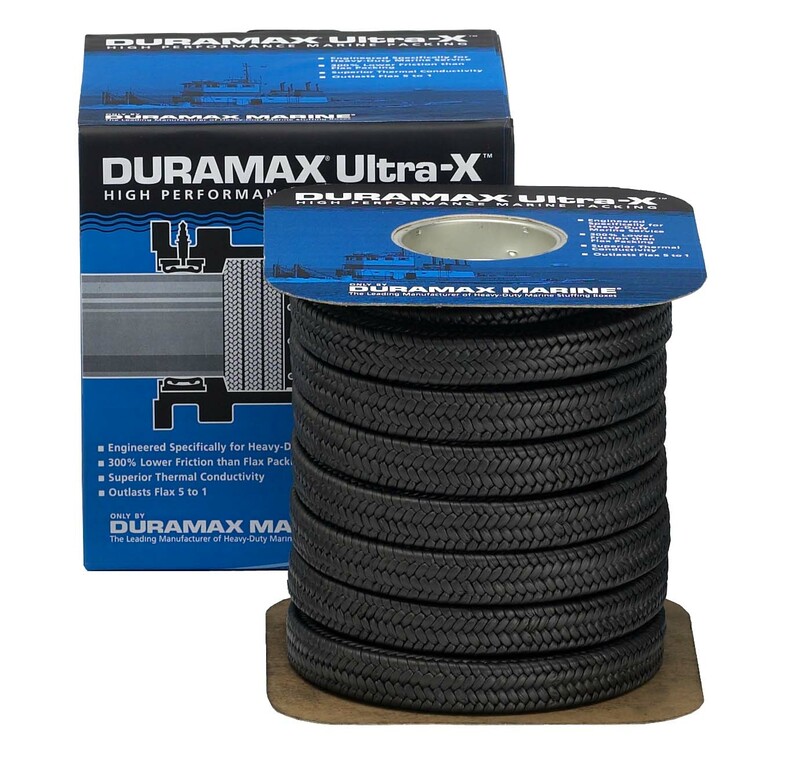 Its excellent lubricity and high thermal conductivity keeps shafts running cool at all speeds. 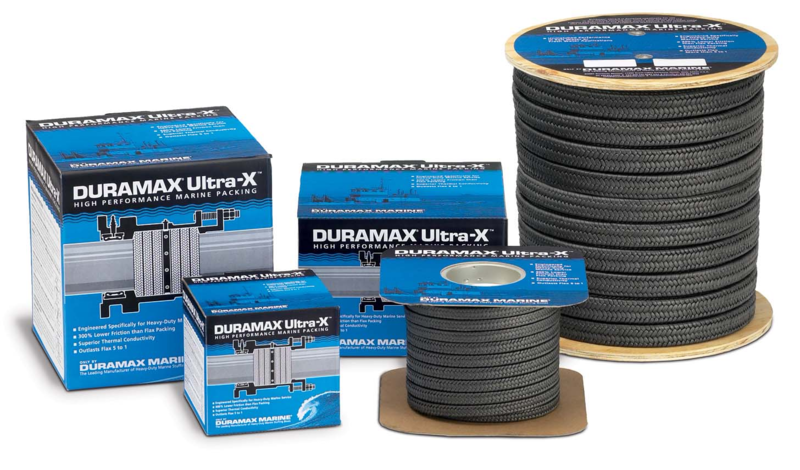 Unlike flax and other packing materials, once Ultra-X is installed you never need to worry about it again, virtually eliminating maintenance. It is a braided hydrophobic fiber packing. A unique, patented manufacturing technology encapsulates graphic particles and impregnates specialized lubricants into its expanded PTFE strands. Unlike competitors’ packing that blends graphite particles between strands during the braiding process. Duramax Ultra-X always runs cool, even at high speeds. Ultra-X transfers frictional heat to stuffing box, which functions as a heat sink. In contrast, flax packing acts as an insulator, trapping frictional heat that can cause shaft damage and loss of seal.